Marni Market renews its presence on marni.com with Marni Happy Market, featuring a new selection of limited-edition lifestyle products, designed for enjoying free time with a focus on colour and joie de vivre. 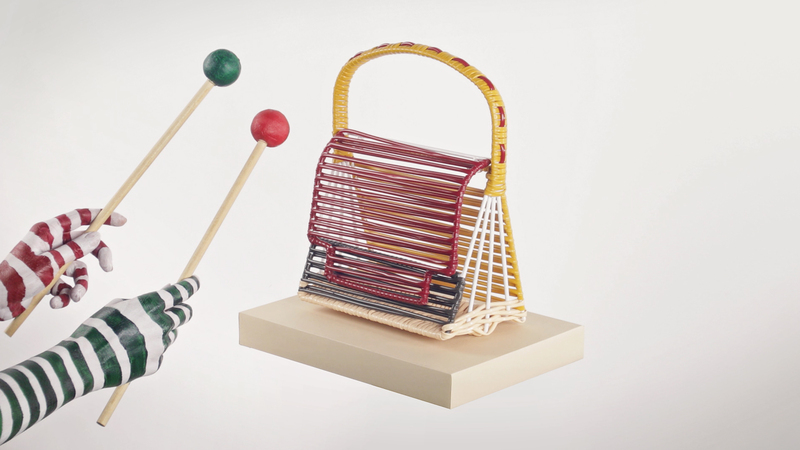 The section of the virtual boutique dedicated to the Marni Happy Market, in addition to hosting the new versions of the now famous woven bags, is enriched with original new products, such as striped cotton hammocks in two different sizes, desk baskets in the shape of little houses or Trunk bags made of PVC and metal wires and sculptural cactus. All these objects have resulted from Marni’s collaboration with various communities of Colombian artisans who have been working with the brand for several years. 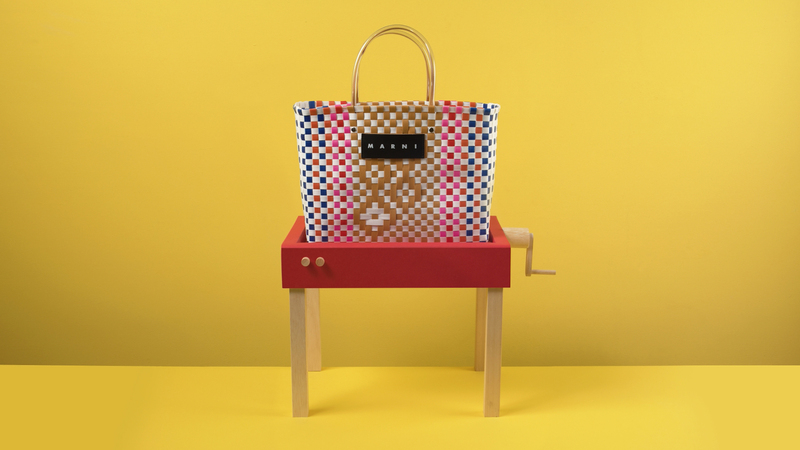 In addition, marni.com offers clutch bags and vase holders with new prints that combine flowers with geometric patterns, aprons for children and adults, owl-shaped brass and crystal keychains and sets of coloured pencils. All the products of Marni Market online are available on marni.com for a limited period of time starting from 10 May 2018.